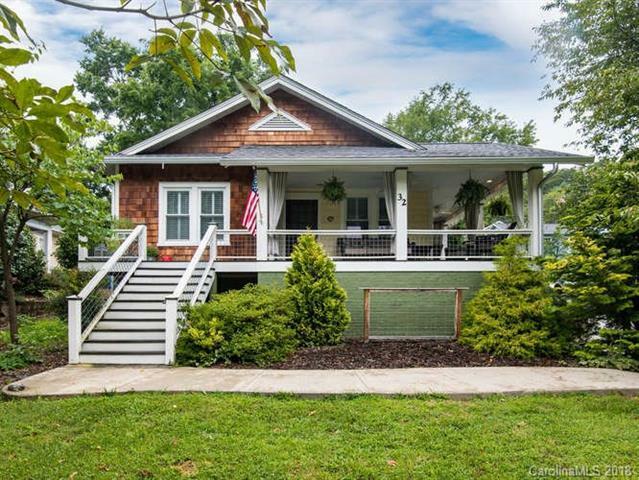 Convenient and charming bungalow with mountain views walkable to many North Asheville amenities or UNCA. The home flows from the kitchen, dining to interior living room before opening to the outside taking full advantage of our mountain seasons and indoor/outdoor lifestyle. Watch the sunrise over Sunset mountain from your wrap-around front porch or end the day entertaining around your conversation fire pit. Cool updated kitchen and bathroom highlight this home, along with, a newer roof and tankless water heater make this home ready to go. Various off street parking off either Larchmont near carriage style storage or shared drive to 1 car tandem garage.